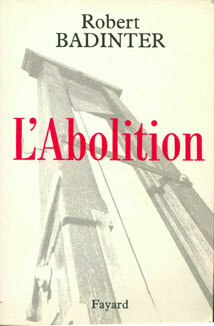 This fall, my Abolition project reached its climax: accompanying Robert Badinter, or as I sometimes like to call him, ‘The Greatest Living French Man’, on a speaking tour in New York, Houston, and Washington D.C. I’d hoped the tour would be poignant, celebrated, and, yes, perhaps even lead to a perceptible shift in American death penalty policy. Instead, I find myself clinging to the words of Winston Churchill: ‘Success is the ability to move from one failure to another with no loss of enthusiasm.’ Oh, and I also find myself admiring the snazzy République Française bathrobe I snagged from the embassy bathroom. 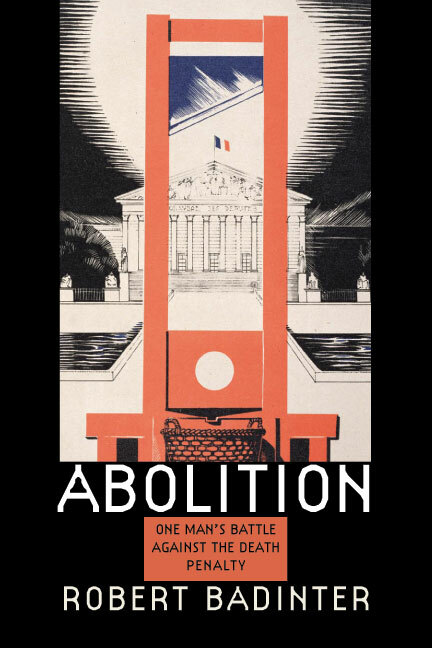 As you should know by now, my most recent book is a rather bold attempt to mix true crime and philosophy by telling the story of the last man guillotined in France and the history of the moral debate surrounding the death penalty from Socrates to Camus. As part of my research for the book (When the Guillotine Fell, St. Martins; come on, *buy* it already), I went to Paris to interview Robert Badinter, the man most responsible for the abolition of the death penalty in France. As you can attest from the photograph, the man is remains stone cold handsome at the age of 80. The interview went exceedingly well; Badinter is by far the most impressive man I’ve ever talked with, and he was both generous with his time and enthusiastic about my endeavour. Still, I was astonished when, at the end of our time together, he announced that we were of the same sensibility and asked me to translate his most important work, L’Abolition, into English. I said no, of course. I had my own book to write. And, to be honest, my command of French was less than masterful at the time. Who was I to translate for a French statesman? Then, upon my return to Marseille, I mentioned the incident to my friends. They were doubly stunned: first, that a man as esteemed as Badinter would bestow the role of collaborator and translator upon me; and second that I, naïve foreigner, would refuse such an honour. After being berated by no less than seven people, I wrote Badinter and informed him that I would do my best to translate his book and find an American publisher. After a few dozen letters and emails, fate, most mercifully, propelled me and the Abolition project to Northeastern University Press and the steady hands of editor Richard Pult. It was a most fulfilling journey: the joy of working closely with Robert Badinter; my deepening appreciation of and facility with the French language; and the intensive collaboration with Richard and his colleagues at the university press. We thought we were doing something important by bringing this book to English readers, and, if I may be immodest, we were justified in believing so. 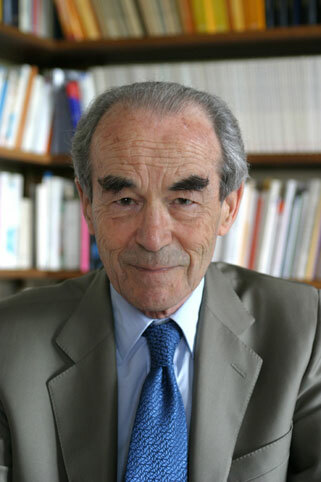 Then, toward the end of the translation, I had a meeting with Badinter in Paris to go over some final questions. We had a coffee. And he wondered if perhaps it would be a good idea for him to go to America to talk about his book and challenge the American people to abolish the death penalty. And would I help organize such a tour? The pressure of the organization was so enormous I developed itching rashes on my forearms and I was waking up at night to nervously devour boxes of Figolu fig cookies. The minutiae was endless: dozens upon dozens of hours on the phone setting dates and planning events, more than 1,600 organizational and media emails sent, including 68 to the French cultural attaché in New York alone (the magnificent Fabrice Gabriel; *buy* his book, Fuir les Forêts, too), and a varia of press releases and project summaries to write and paginate. And it was all volunteer work, part of my engagement in the fight against the death penalty! And you wonder why I don’t drive an Audi. At this point you might be asking why there aren’t actually any pictures from the tour, not of Badinter at the radio studios in New York City or lecturing at Georgetown University or chatting with Supreme Court Justice Ruth Ginsburg. Well, because I was a hived up, quaking wreck for the entire tour. If I thought I felt stress sitting at my Marseille desk with bleeding forearms and Figolu crumbs in my hair, that was actually just flânerie in the park. Upon arriving in North America to begin on-the-ground tour preparations, I turned on CNN. A hurricane was heading toward Texas! Houston was our most politically engaged stop, the front line in the battle for abolition in America. And our schedule was robust: we had an editorial board meeting with the Houston Chronicle, a visit to the Texas execution chamber, a conference at Rice University, a soirée with the Texas Coalition Against the Death Penalty, more than 300 books pre-ordered … In all, hundreds of hours of work and preparation. And all swept away by Hurricane Ike that left 5 million without electricity and our entire program cancelled. Thus, it was with a pronounced limp we arrived in New York to open the tour. 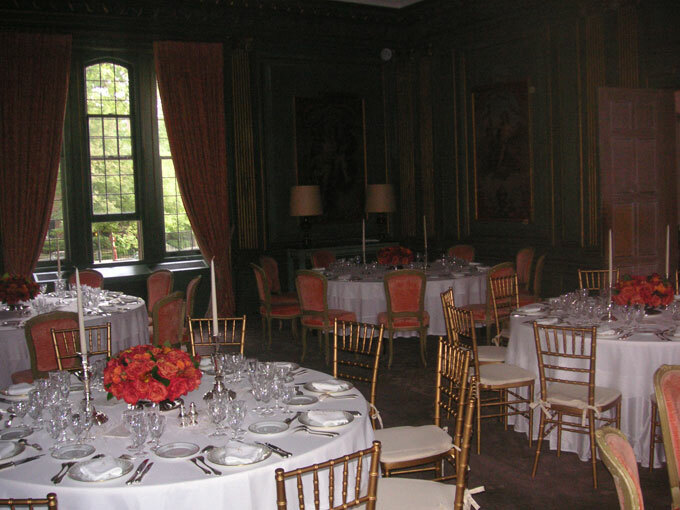 We had a very glamorous event planned at the New York Public Library with Neal Katyal to discuss human rights and the death penalty. 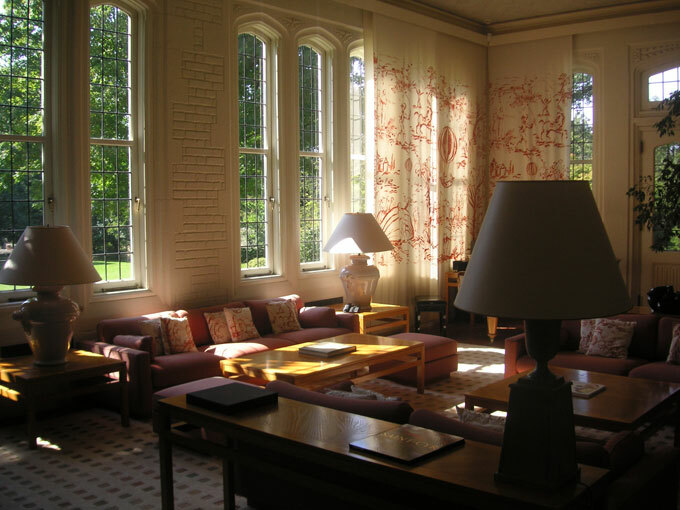 The evening, which can be heard *here*, was the work of Paul Holdengräber, the director of programming at the library and a man for whom the term impresario was invented. As I sat in the audience with my editor, Richard Pult, the goose pimples galloped up my arms and at one moment we looked at each other, nodded slightly, and said, hell, we did it. Pride nearly burst my heart open. So, that put the pep momentarily back in the step. But guess what happened next? The damn economic crisis! We arrived in Washington the very day that John McCain and Barack Obama flew back to D.C. to address journalists and politicians. My phone didn’t stop ringing: it was the media, canceling their interviews with Badinter one after another. Between the hurricane, the election, and the economic crisis, Badinter and the death penalty didn’t cut the media mustard. Even the fact that the Troy Davis case – a potentially innocent man facing execution in Georgia – was in the news didn’t help draw attention to Badinter’s work. Faced with the Greatest Living French Man and a vital human rights issue, America gave a collective shrug. The earth didn’t move. The op-ed pages weren’t afire with Badinter’s glory. Hell, we didn’t even get any major reviews in the book sections. I was frantic, depressed, weary. So, that’s why there are no pictures from the tour. 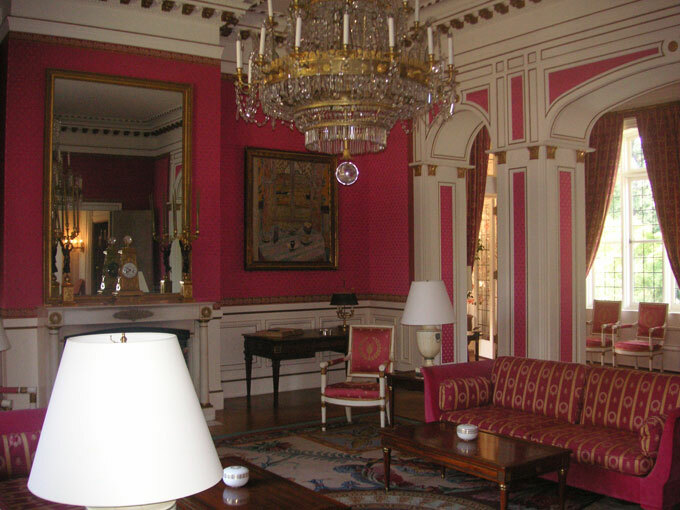 Instead, you get to admire the French ambassador’s house: his palatial mansion, plush foyer, elegant living room, resplendent garden, and breathtaking dining room. 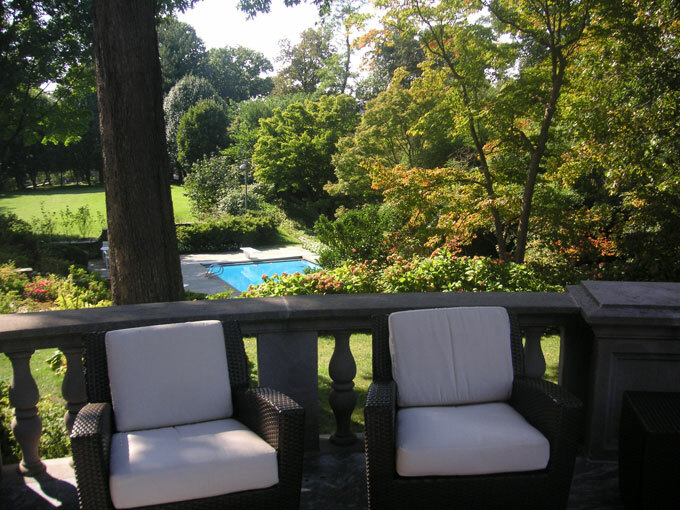 This is because the only time I had the peace of mind to take out the camera was on my last day in D.C., once our official program had come to an end. Ahhh, but there were silver linings. During one of the gaping holes left in our schedule thanks to media cancellations, we were given a private tour of the Kreeger Museum. 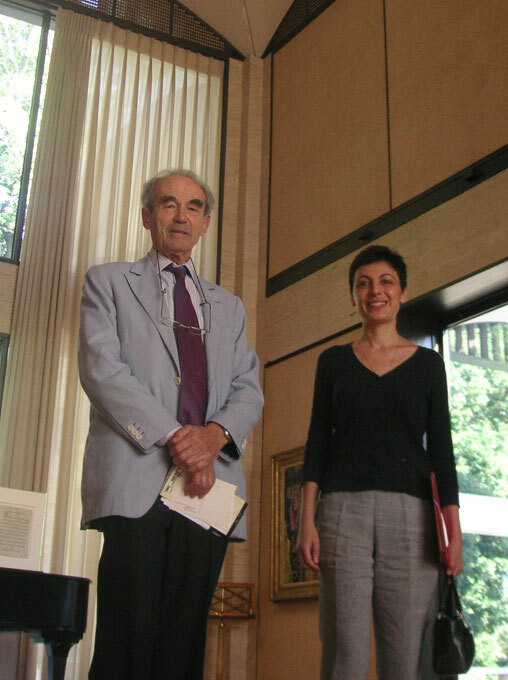 You can see Badinter pictured there with Anne Giuliani of Georgetown University. 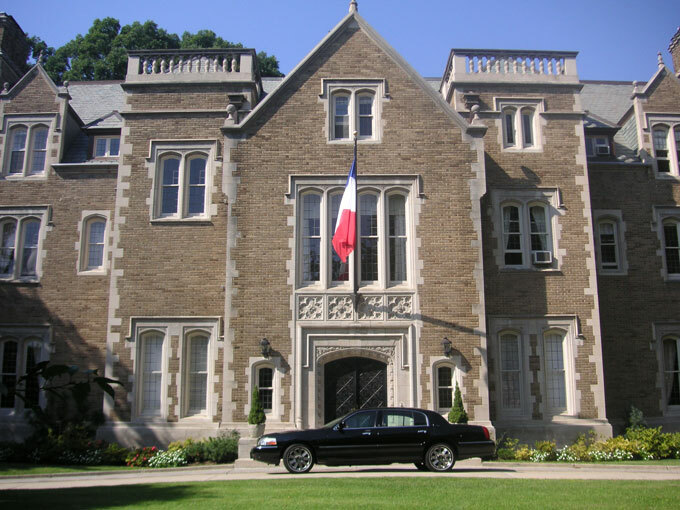 Then there was the fact that in Washington, I was a guest of the French ambassador. 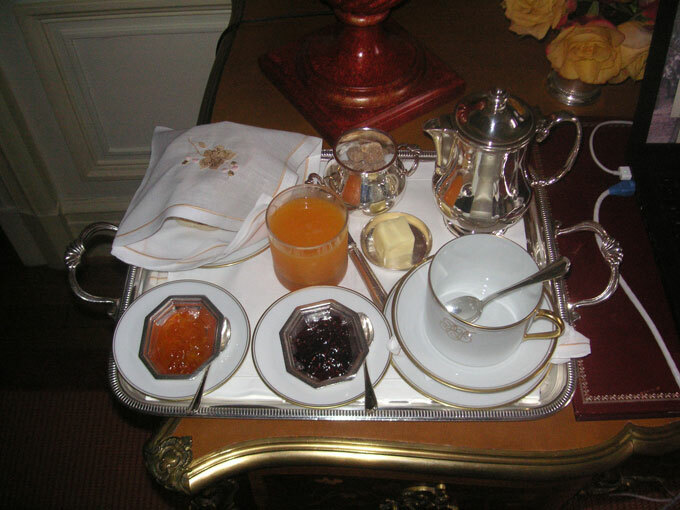 Badinter got the suite, but I was still in a brilliant room with a walk in closet, an enormous bathroom, and this glorious breakfast tray outside my door every morning. Roaming the thickly carpeted hallways, I felt like a minor celebrity or at least a minister of education or some such. And this! I am absurdly happy about the République Française bathrobe that I snagged from my bathroom. Was it theft? Well, yeah. But, hell, I do a lot for France. I write about her cities, I translate her authors, I grace her beaches with my comely Canadian presence. They owe me a bathrobe, dammit. So, yes, all that helped ease my sense of frustration and failure after the underwhelming tour ended. Oh, and this little thing too: thus far in this curious life of mine, my work with Robert Badinter and the fact that I brought his work to English readers is simply the best thing I’ve done. I will be proud of this accomplishment until they slip my cold remains into the incinerator and my ashes blow out into the universe. And at the end of the day, that’s not bad at all.